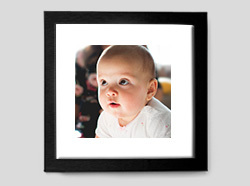 Brighten up your workspace or home with a beautiful photo calendar. 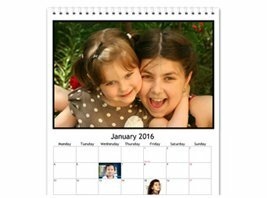 Enjoy your photos all year long by making a personalised photo calendar online. 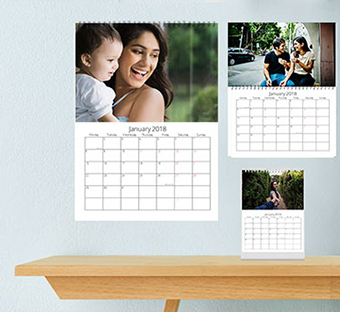 It's super easy and fun in our photo calendar maker. 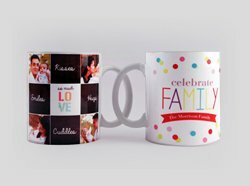 Decorate your home or office space or create a lovely anniversary gift for your spouse or a special new year gift for your parents and loved ones. 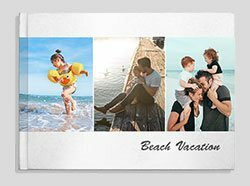 Mark special dates such as birthdays & anniversaries with a unique photo and a message. 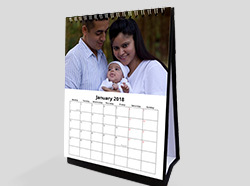 Make a calendar of your baby's first year or your child's school year. 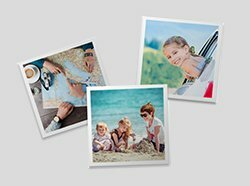 You can even relive your travel adventures or special everyday moments in your photo calendar. 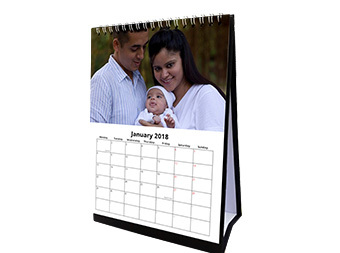 Choose from a wide variety of format, size and design options available in our photo calendar creator. 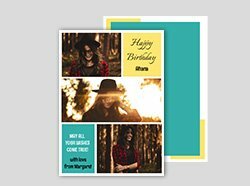 Make it unique by customizing with text and cliparts. 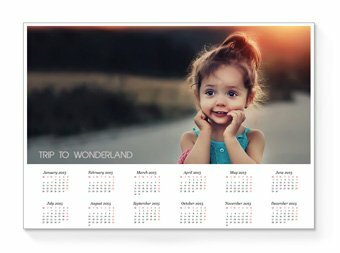 Printed on thick card paper, you can make a calendar for as low as Rs. 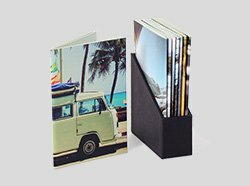 129.